Gifts for the beer lover. Unlike other beers, microbrews are created in small batches, allowing more attention to be paid to their distinctive flavors and defining characteristics. And since we're crazy about unique tastes (as well as beer) we decided our gift collection wouldn't be complete without a bucket of these delicious brews. 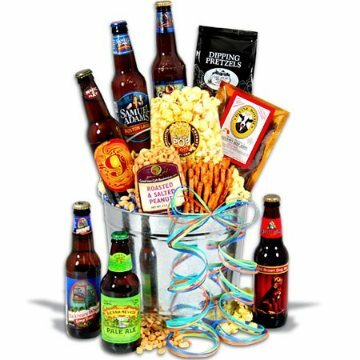 Inside this galvanized bucket, we've brought together craft beers from across the country, including a few from our local area, and united them with an assortment of carefully chosen gourmet snacks, creating a special gift that is impossible to not enjoy!